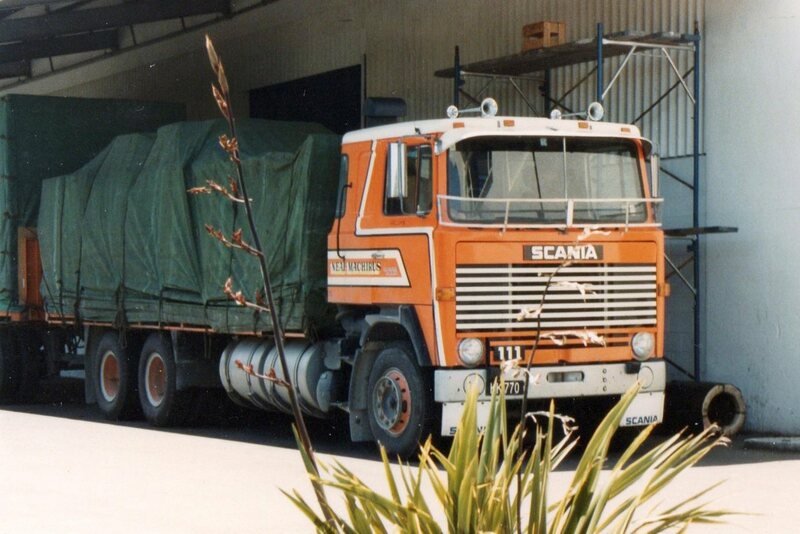 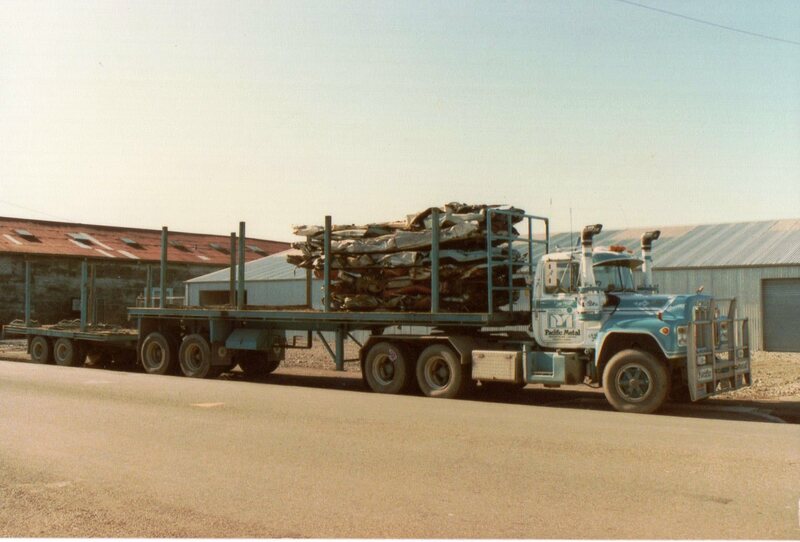 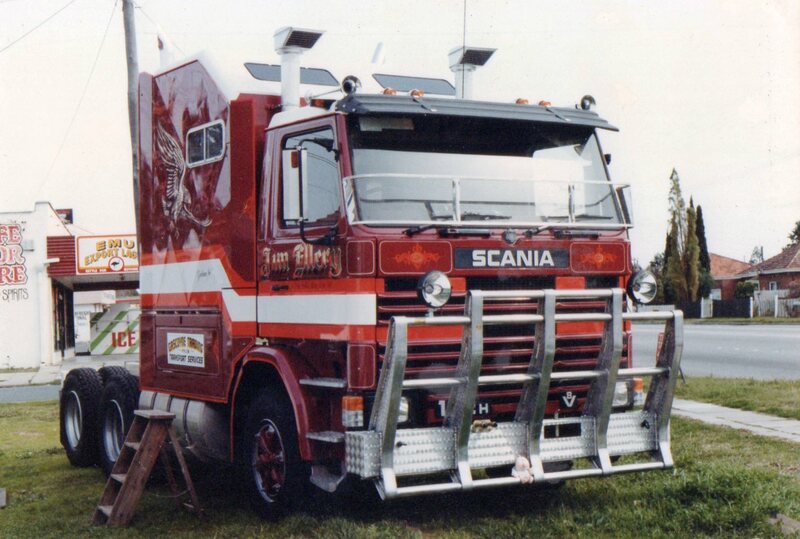 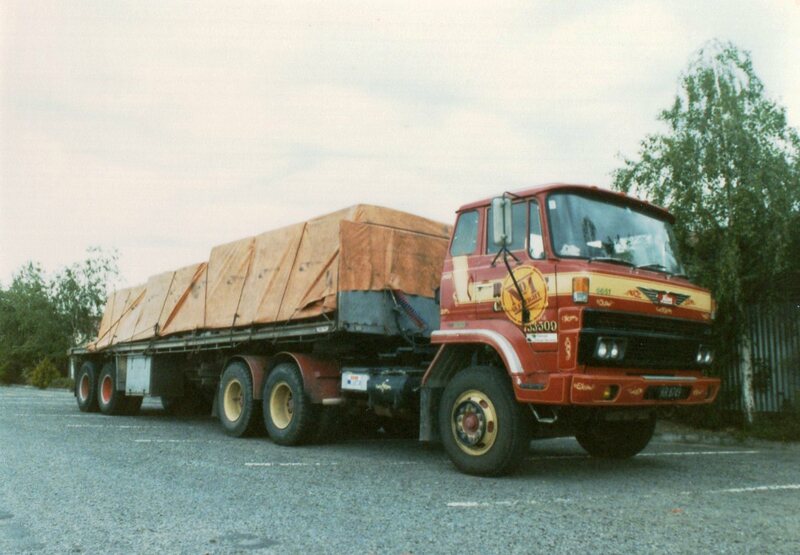 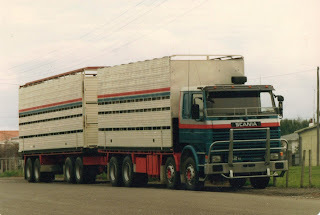 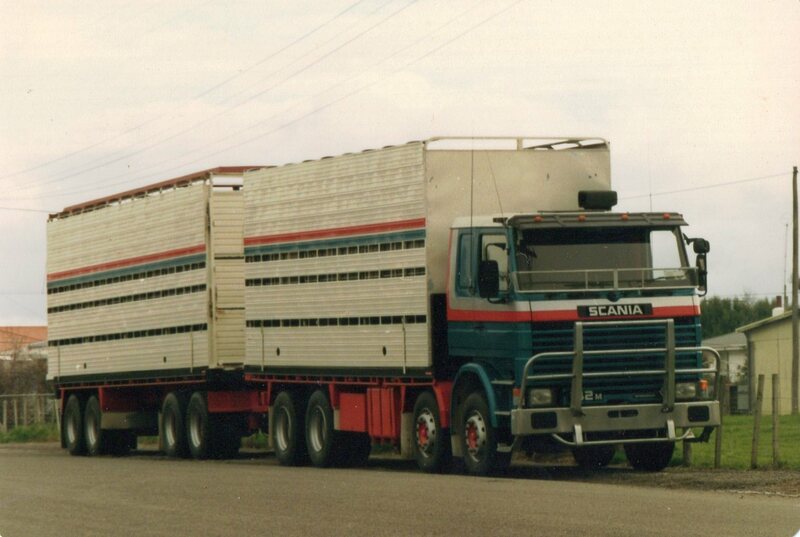 A friend in Australia sent me this snap of an R model Scania. 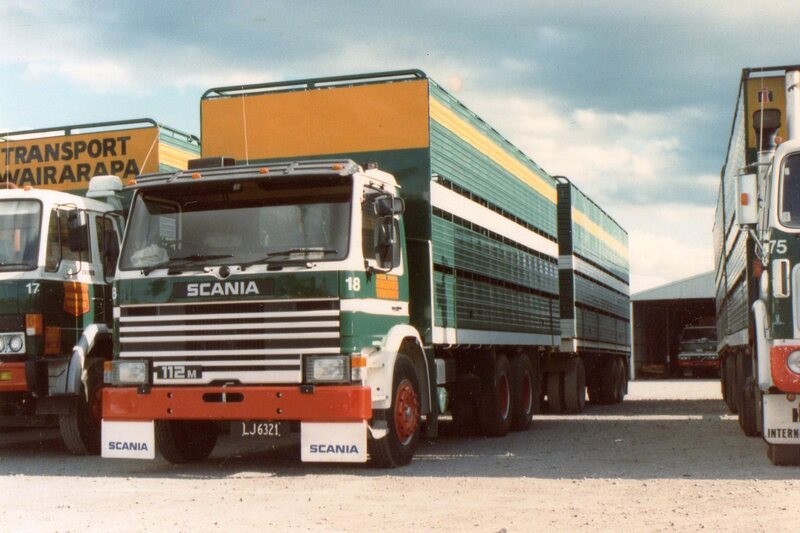 Obviously the standard Scania sleeper wasn't going to be big enough, so this trucker chose a day cab and added his own "bedroom". 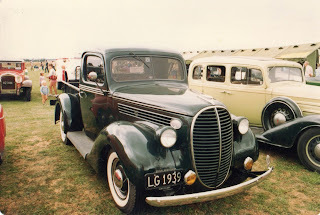 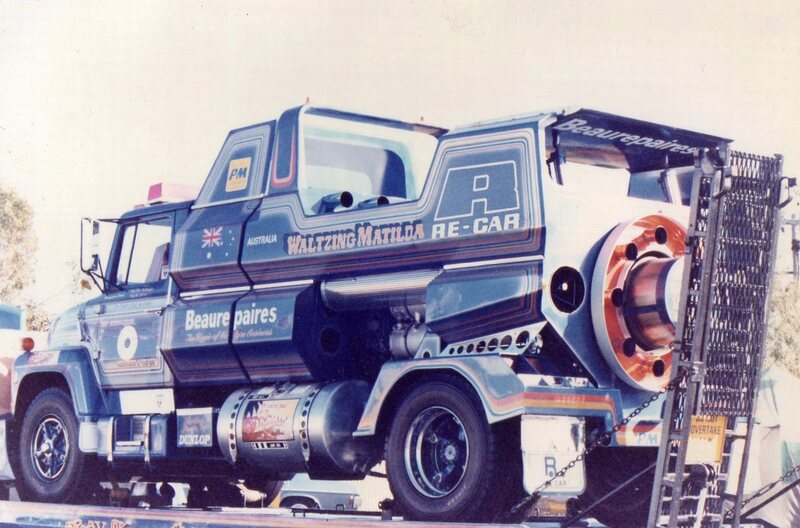 My Australian friend also sent me this one of Waltzing Matilda, the jet powered Ford Louis. 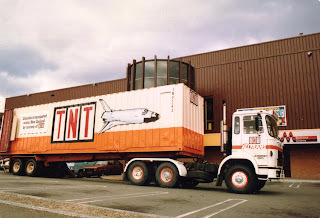 I wonder where it is today? 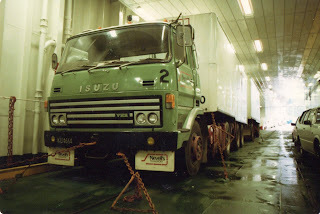 Now back to my own photos. 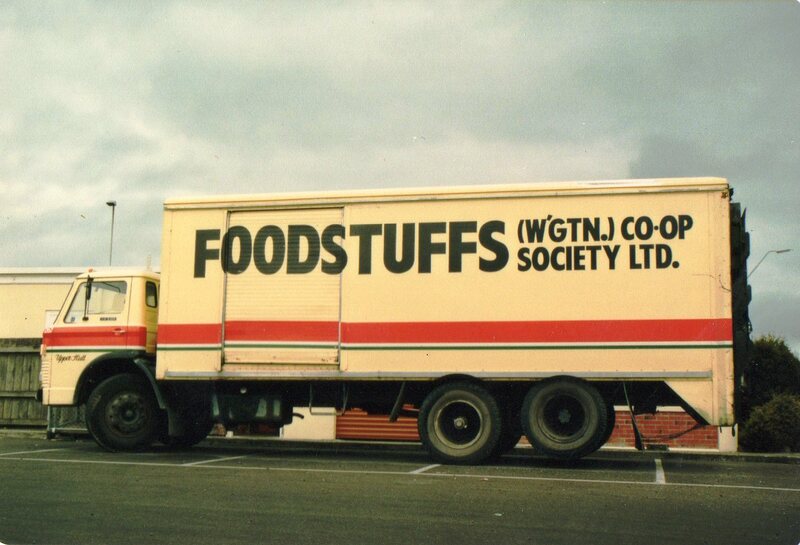 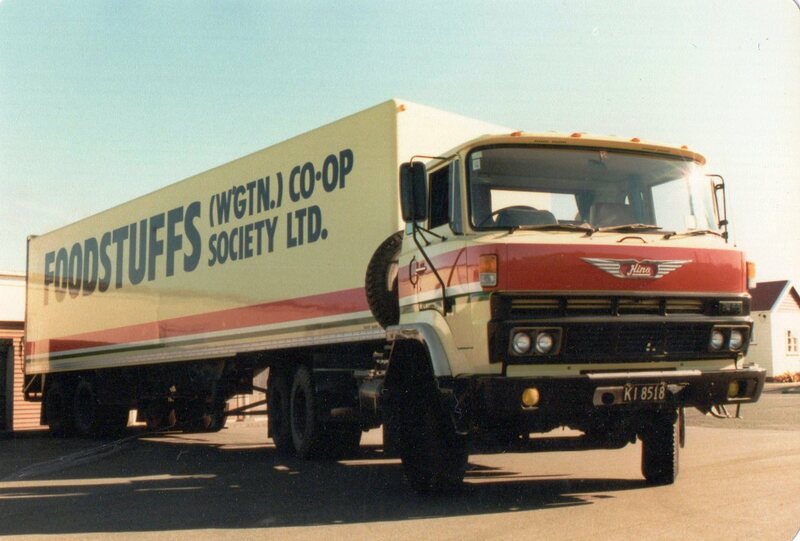 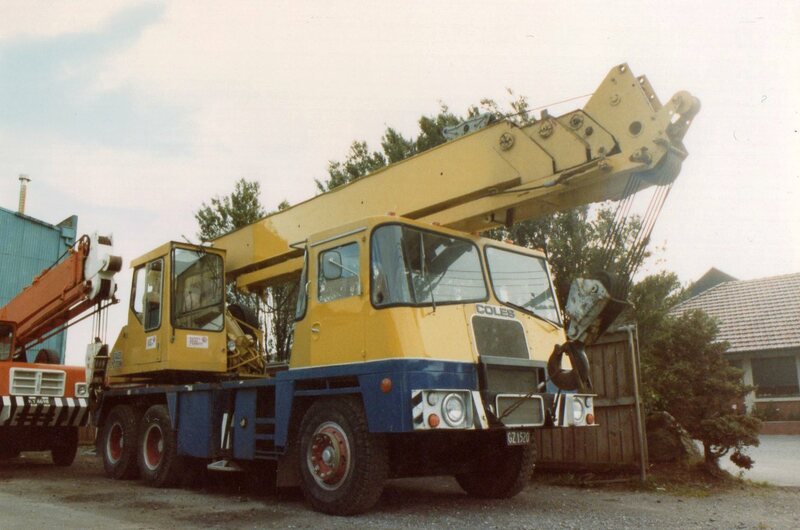 I don't know what powered this Coles crane, but the cab has definitely got a British look. 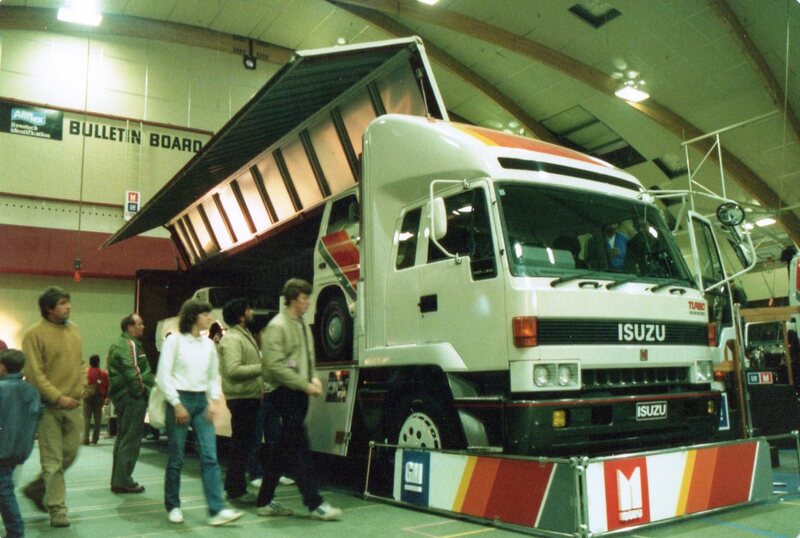 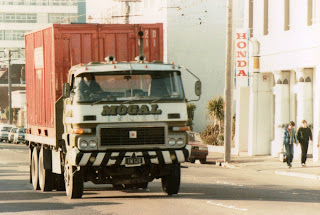 One of the first models of Nissan to come to NZ. This tidy tractor was spotted in Palmerston North. 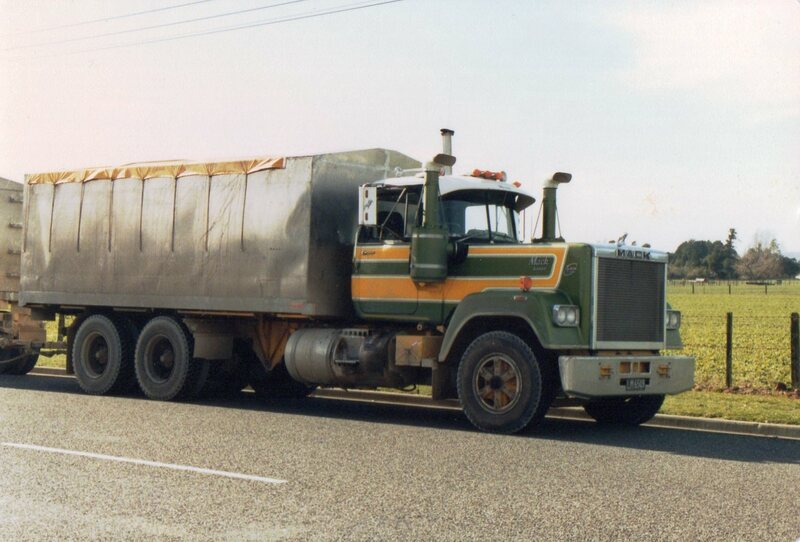 Transport Wairarapa operated a couple of tandem drive rigids with this cab, but unusually, they had an extra dual wheeled air suspended axle in front of the tandem pair. Brand new F10 8-wheeler on display at the Pascal Street stadium in Palmerston North. 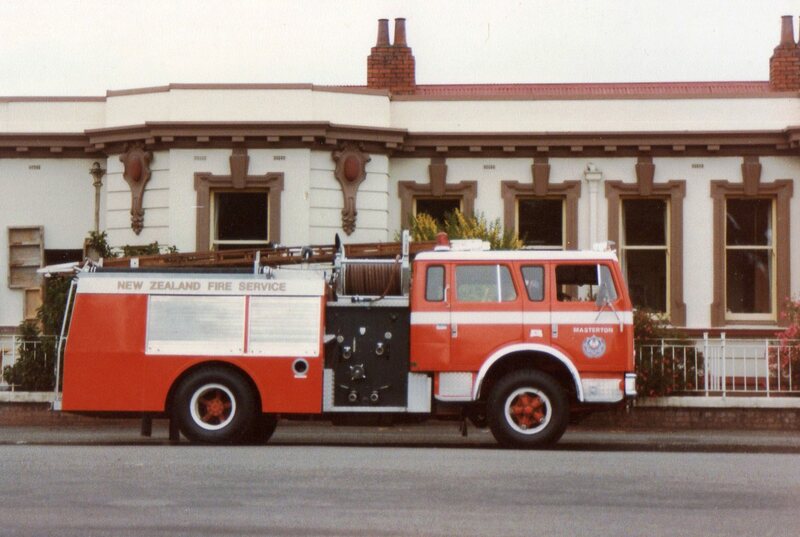 Australian model International ACCO seen as a fire Appliance for the Masterton Brigade. 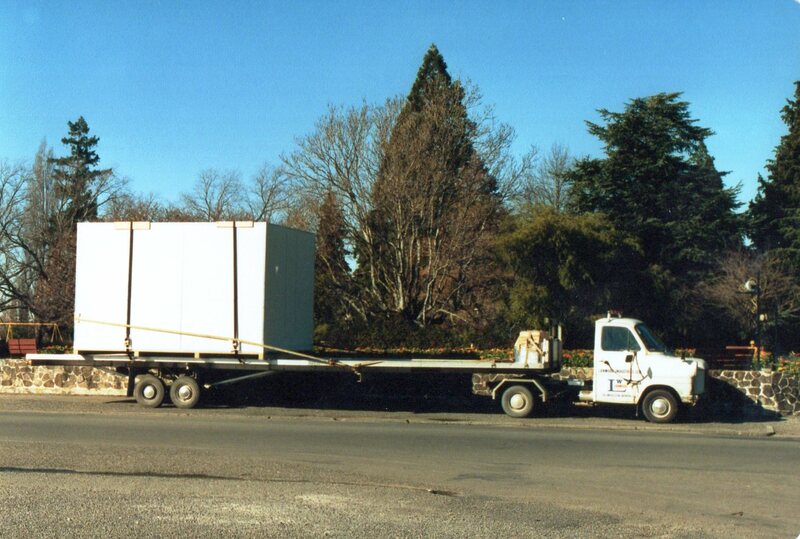 Parked outside the Masterton Courthouse. 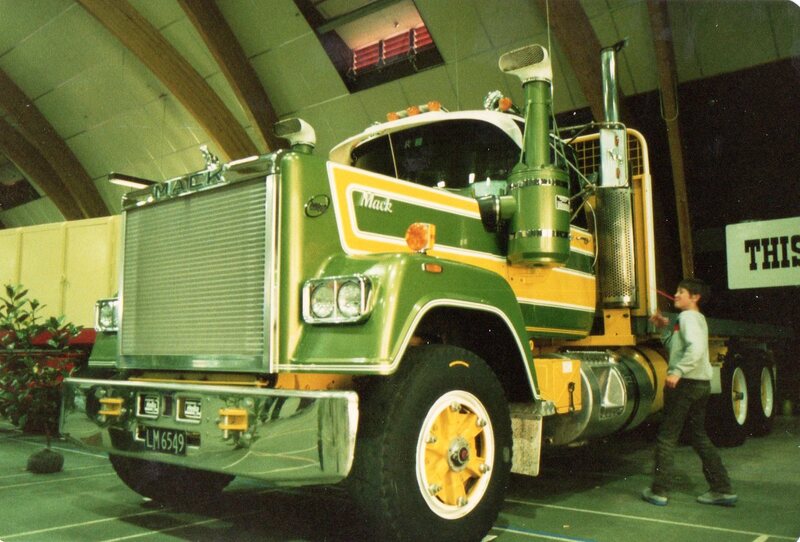 Maybe things can get a bit hot in there. 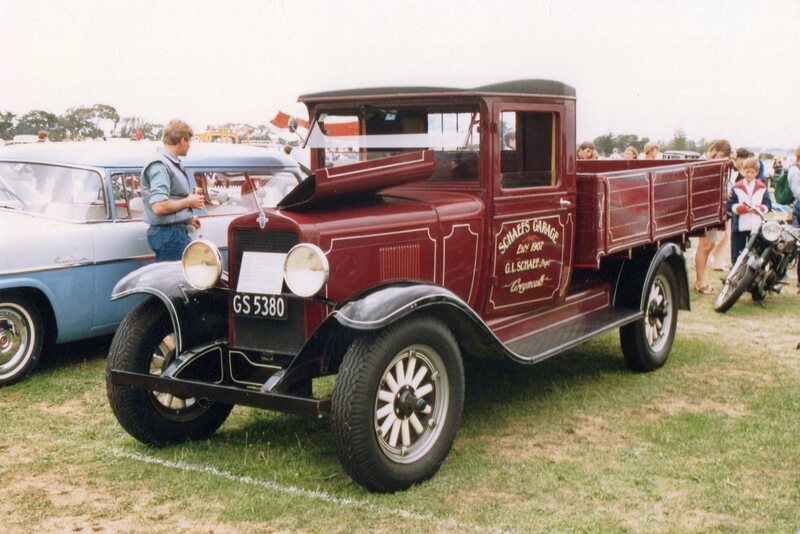 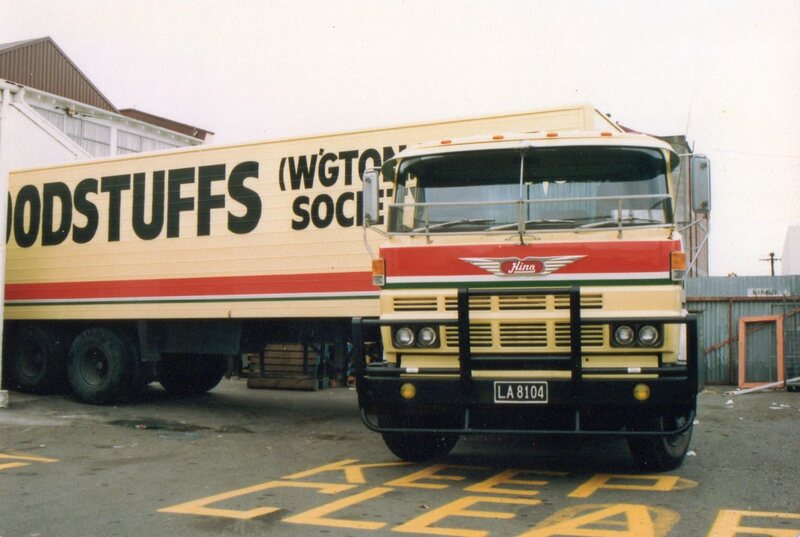 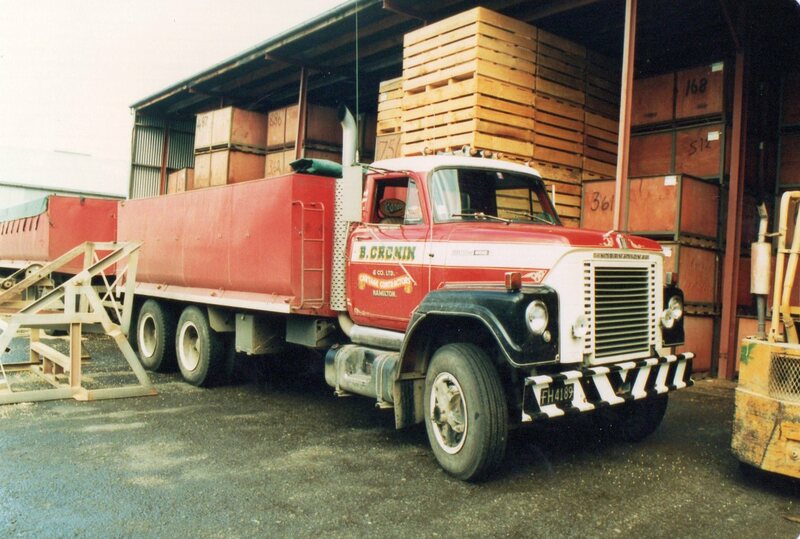 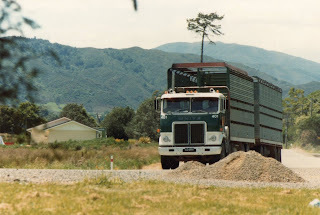 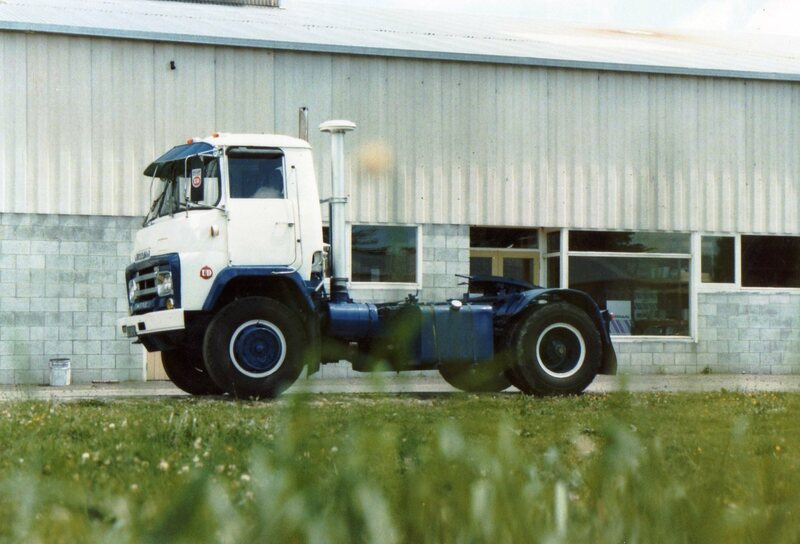 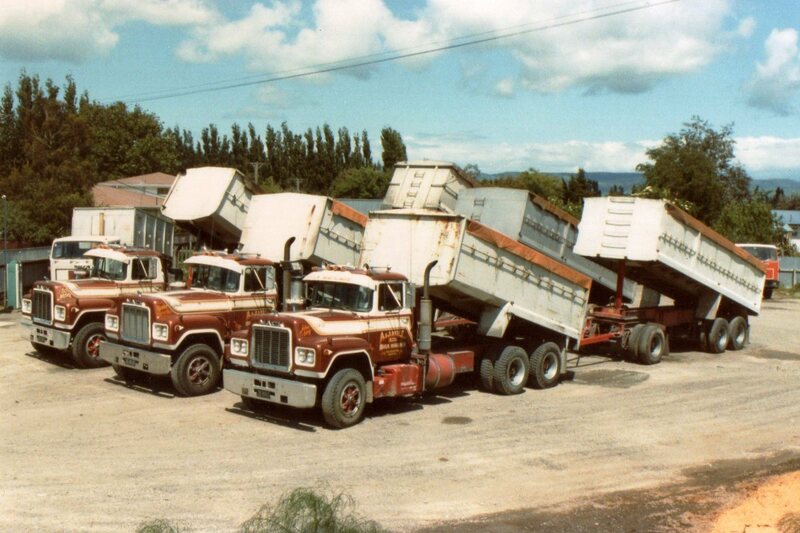 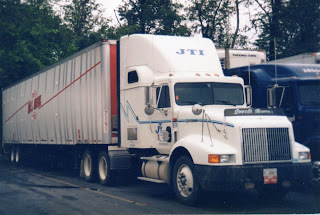 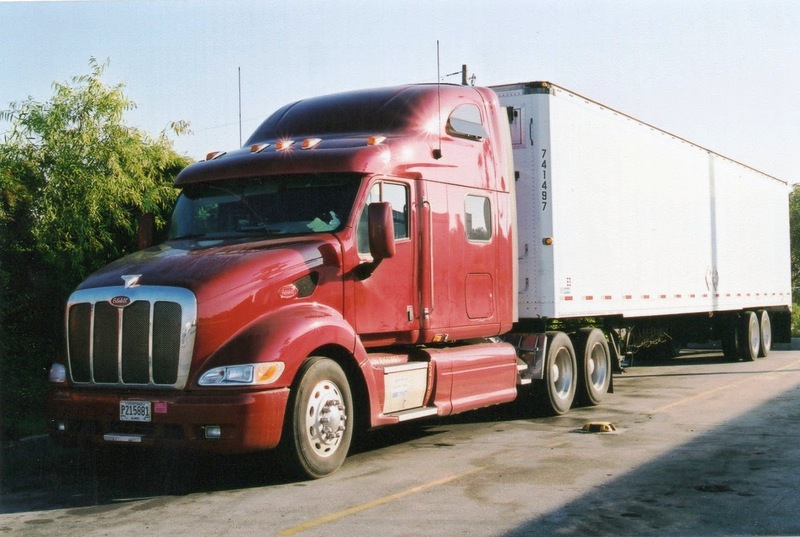 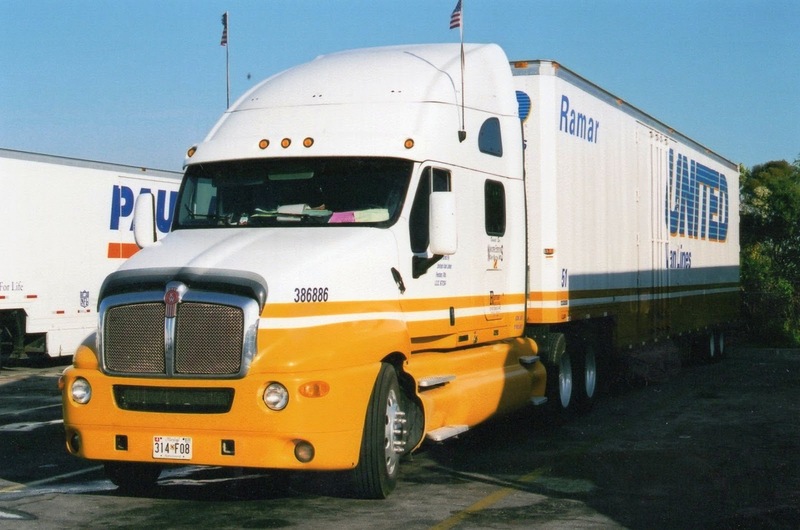 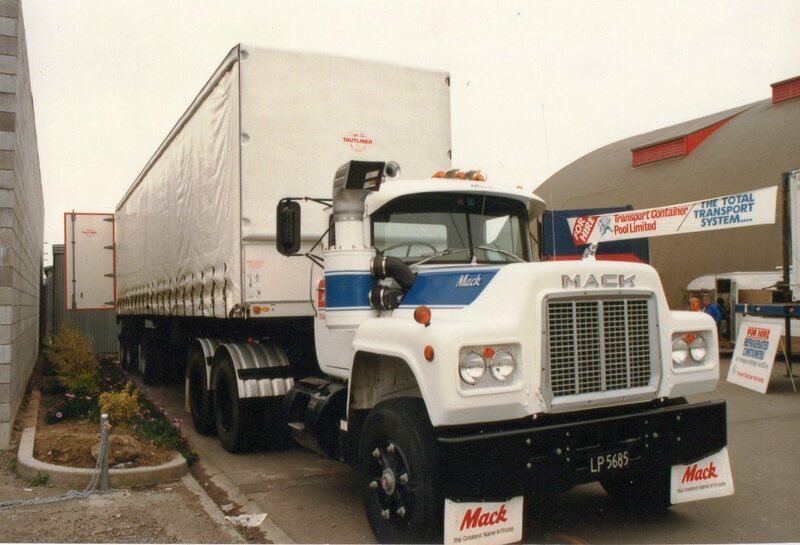 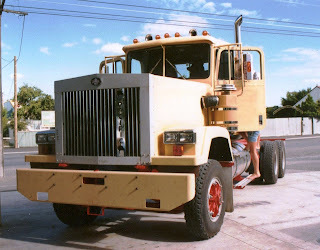 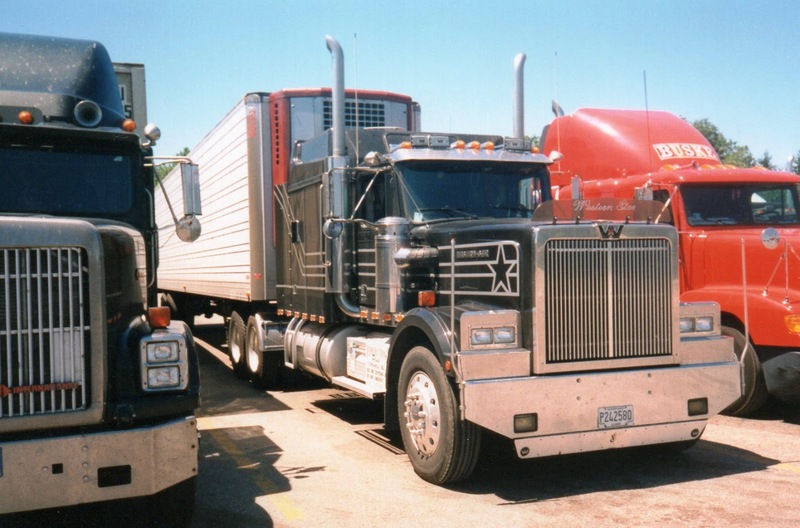 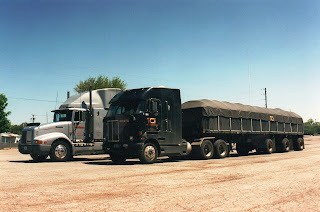 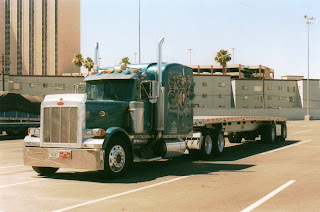 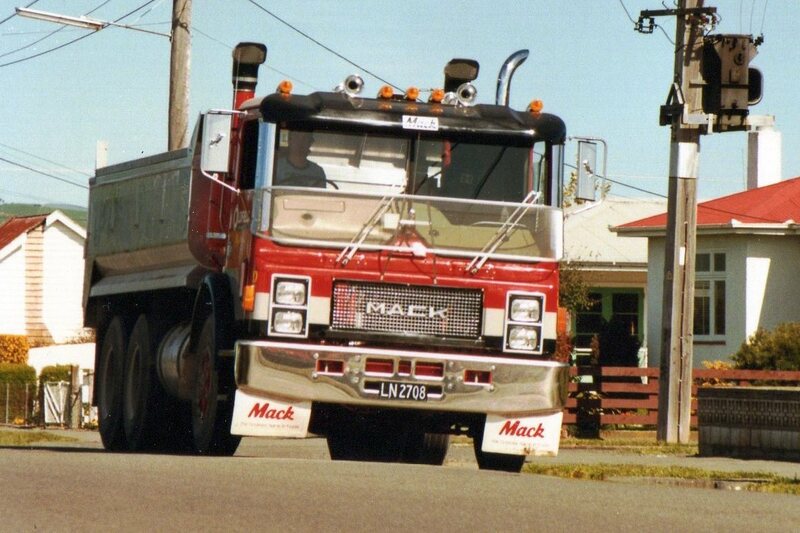 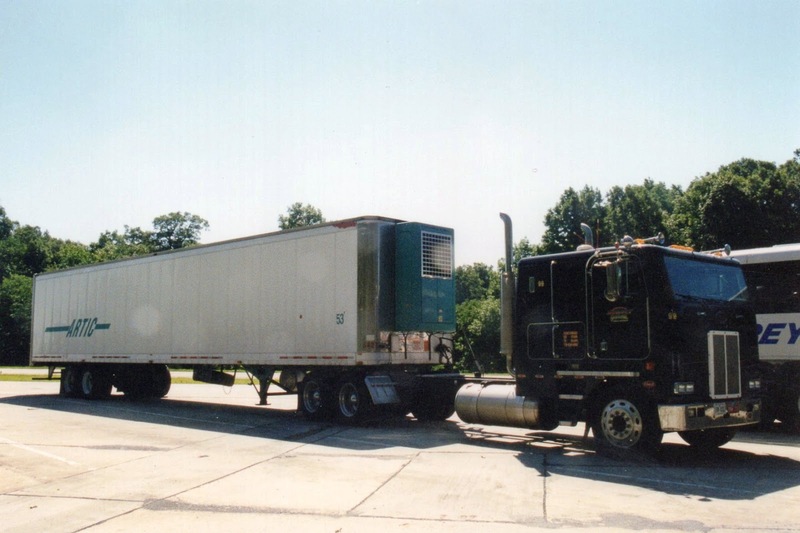 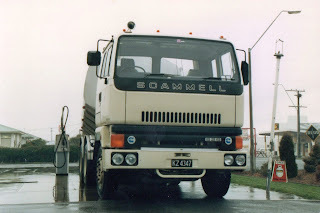 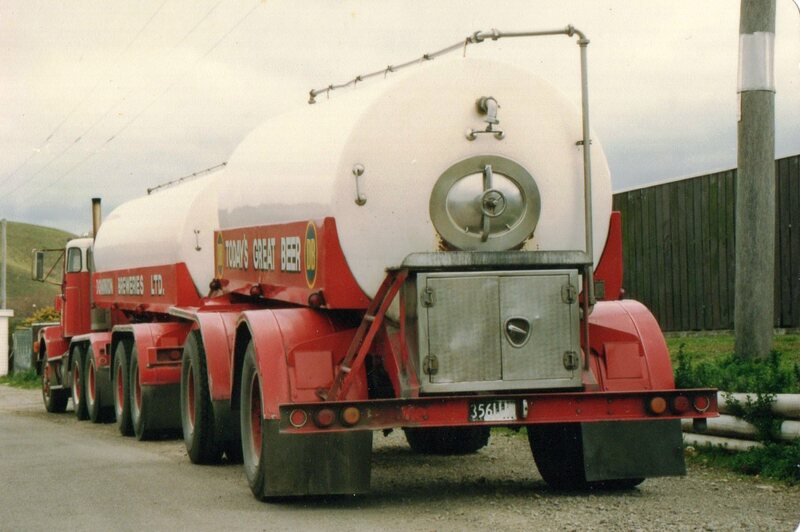 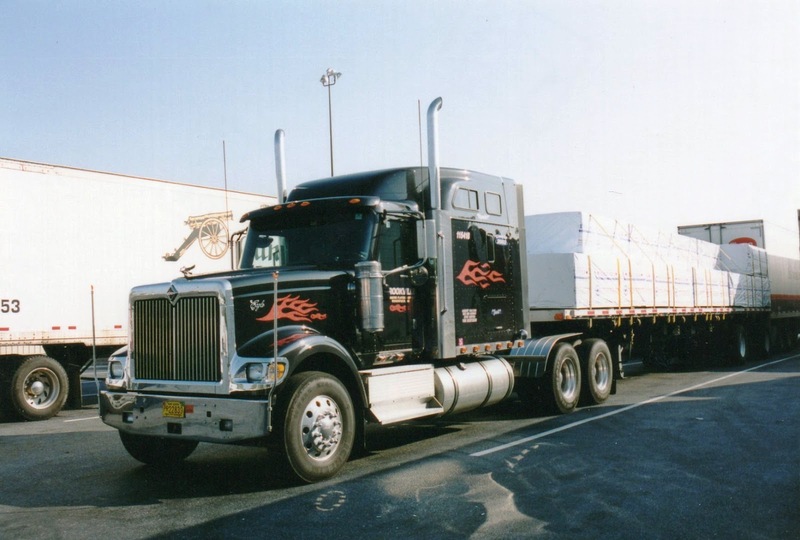 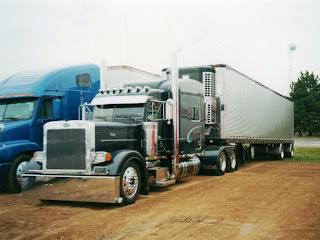 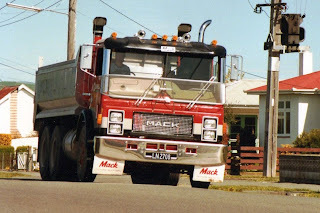 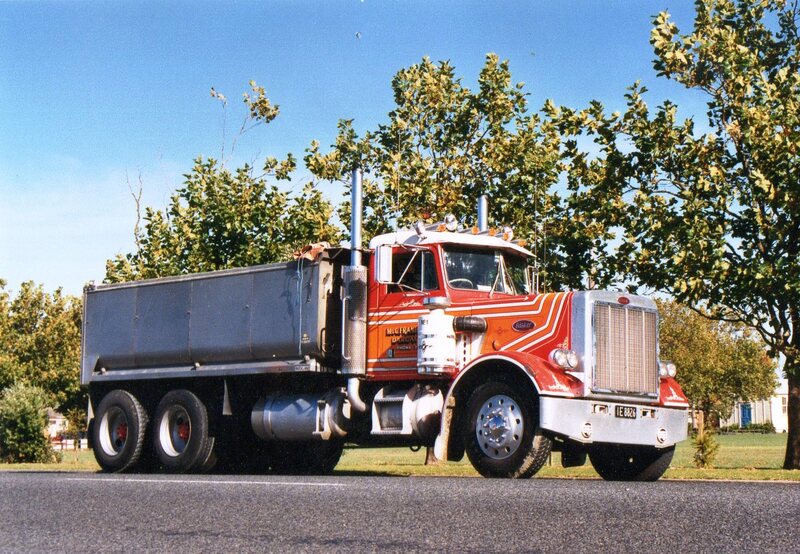 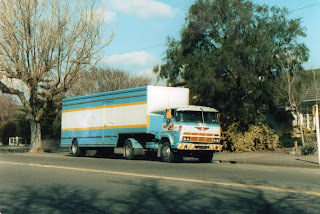 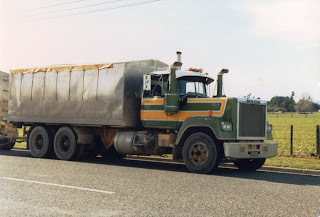 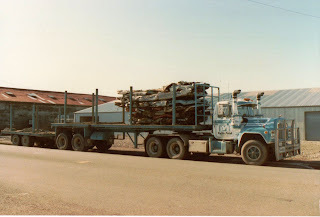 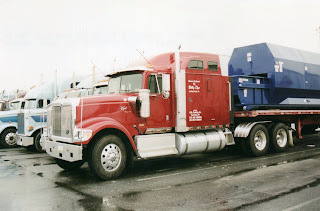 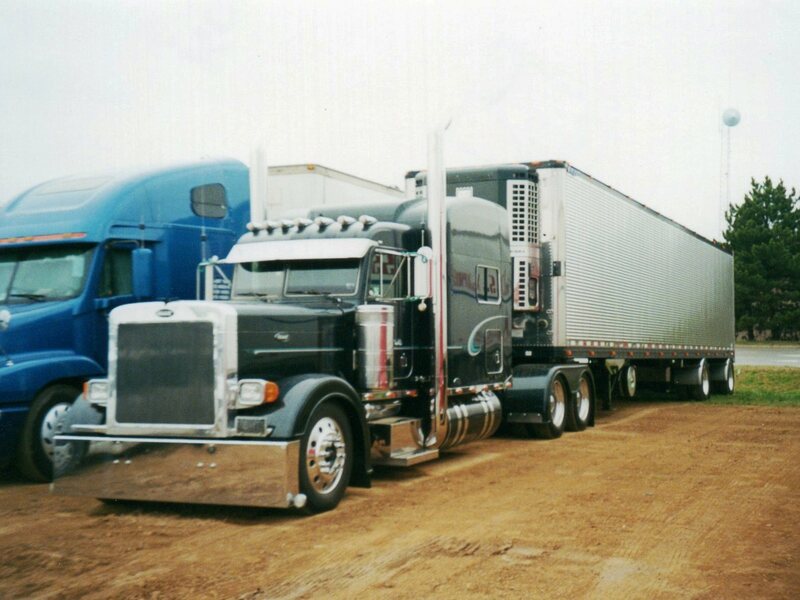 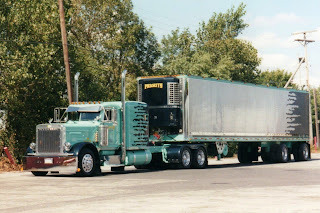 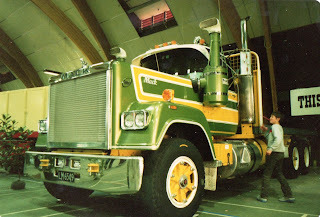 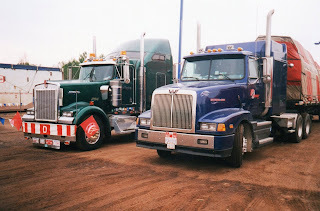 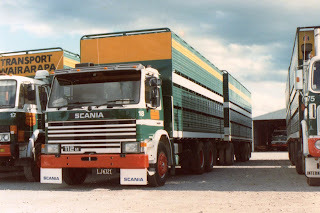 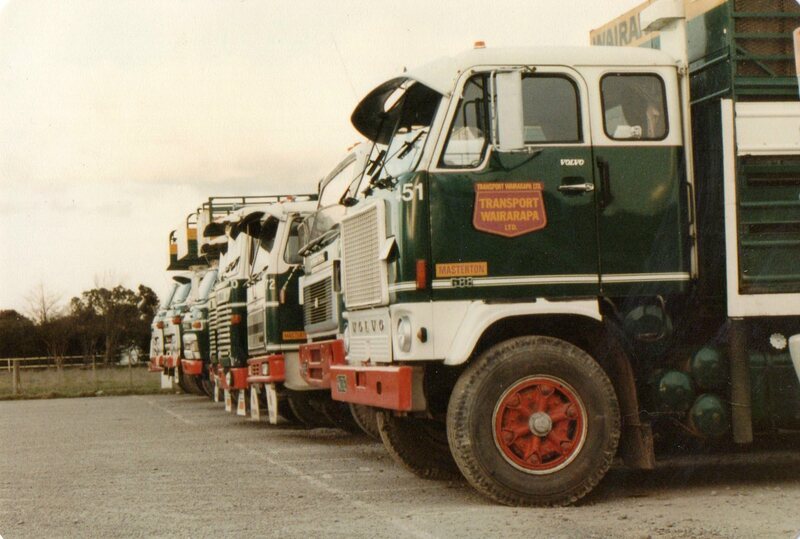 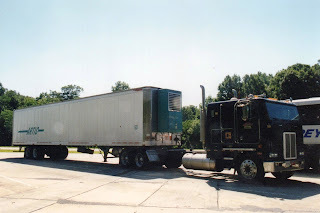 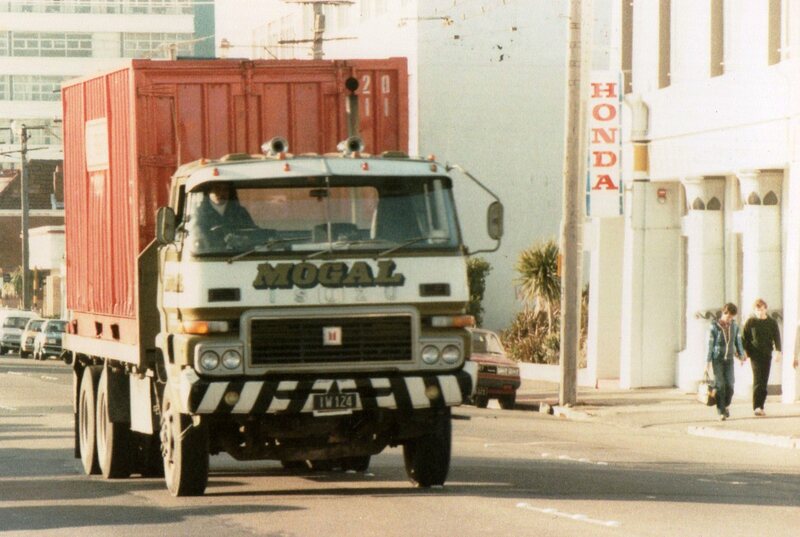 Matte Franicevich's Peterbilt was New Zealand's first example of this make. 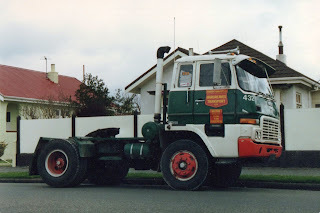 This photo posed for me in its hometown of Dargaville. 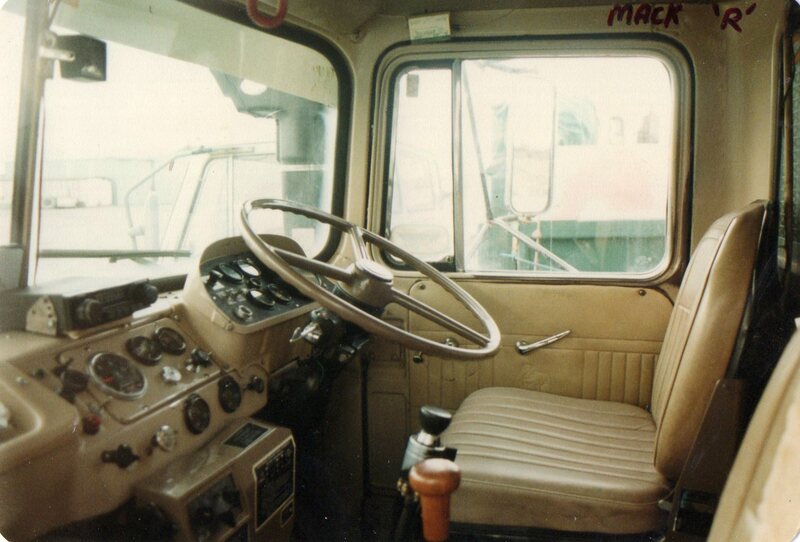 Interior shot of an early R series Mack. 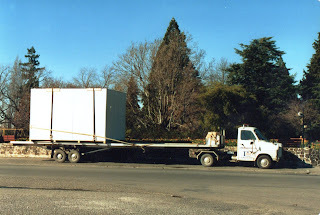 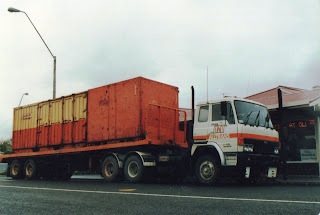 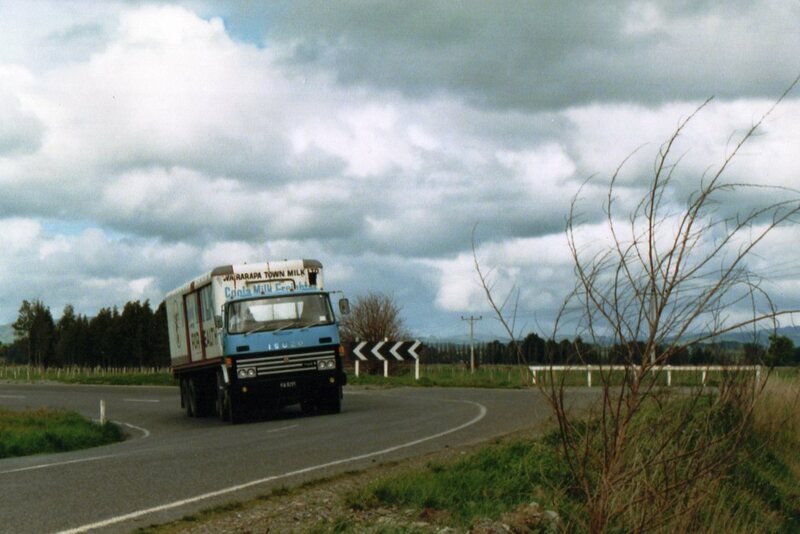 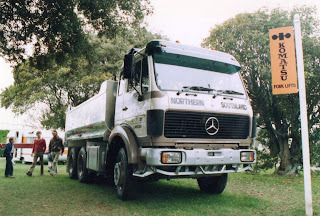 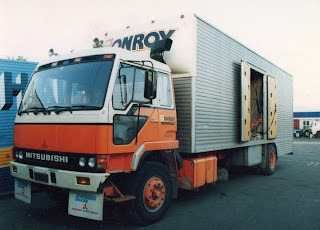 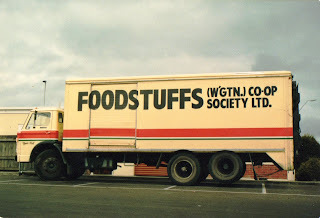 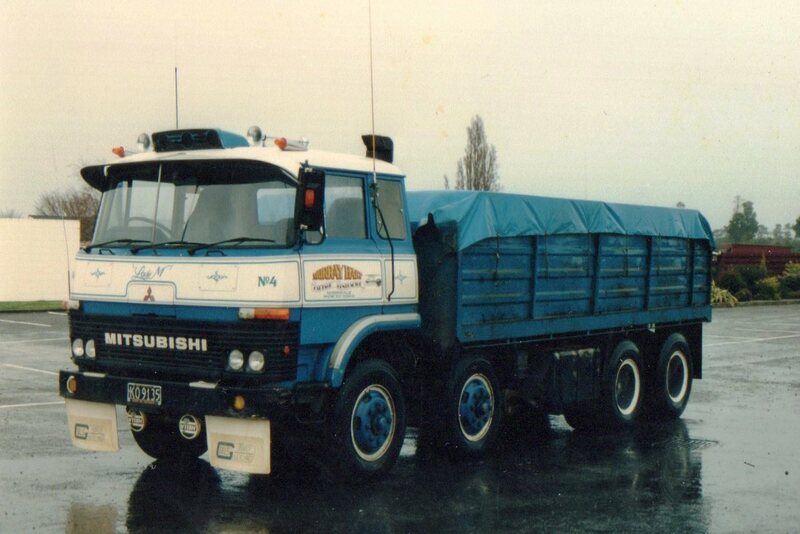 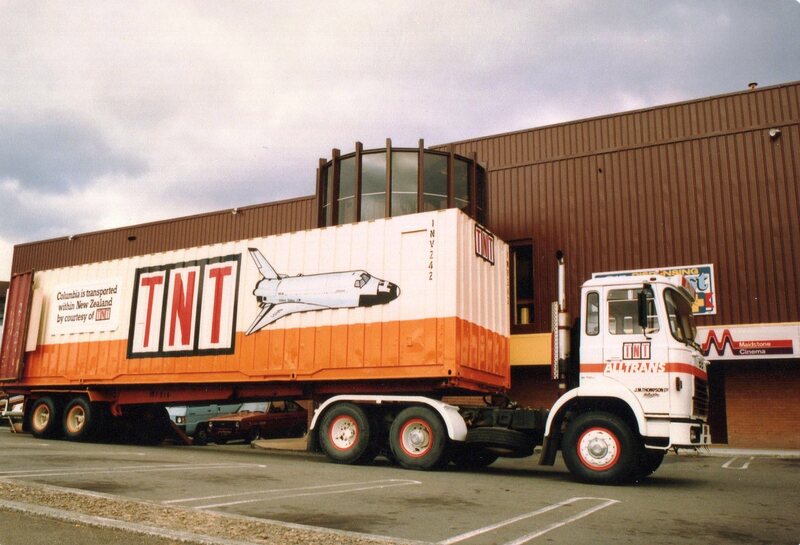 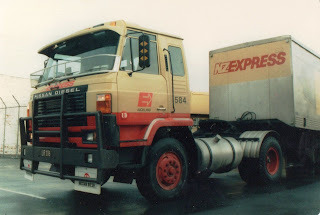 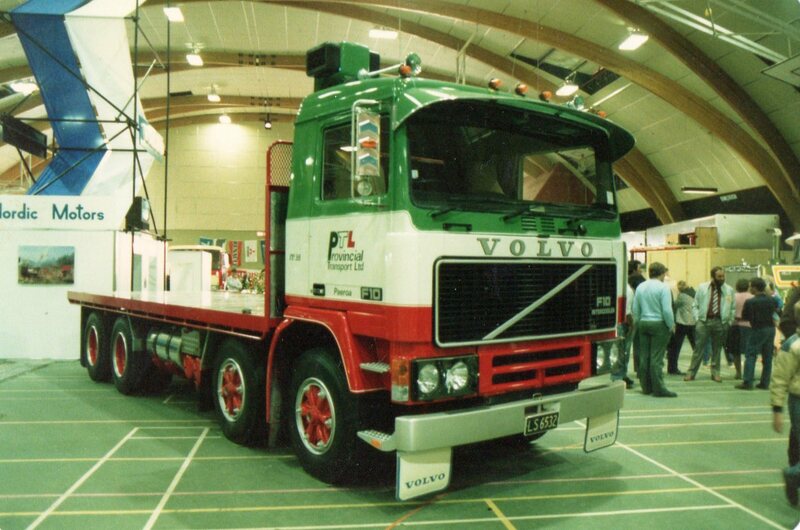 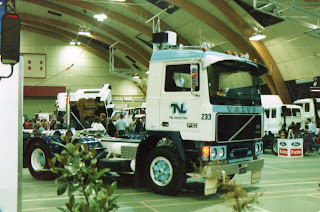 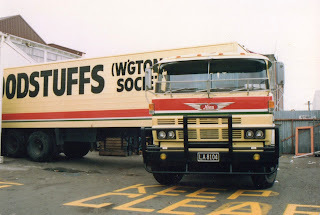 Thisone belonging to Transport Wairarapa at that time. 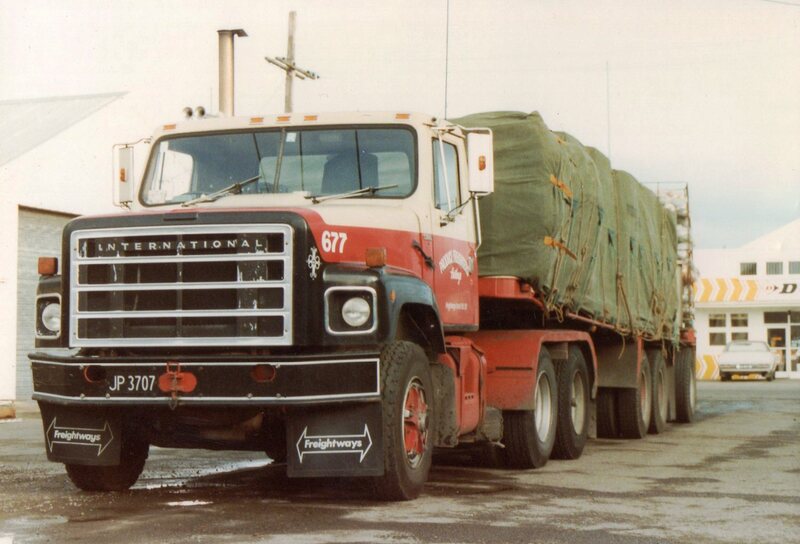 Produce Freighters' International SF2670 of 1980 vintage towing a flat deck A-train. 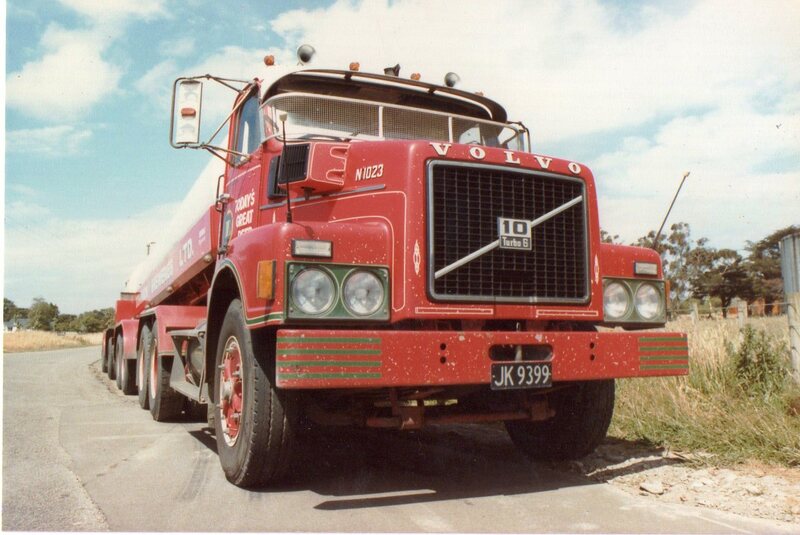 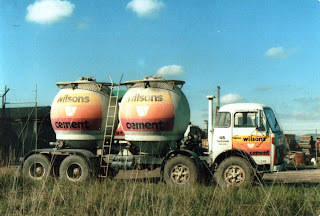 Volvo N10 of Dominion Breweries with A-train of beer tankers parked at their Mangatainoka Brewery. 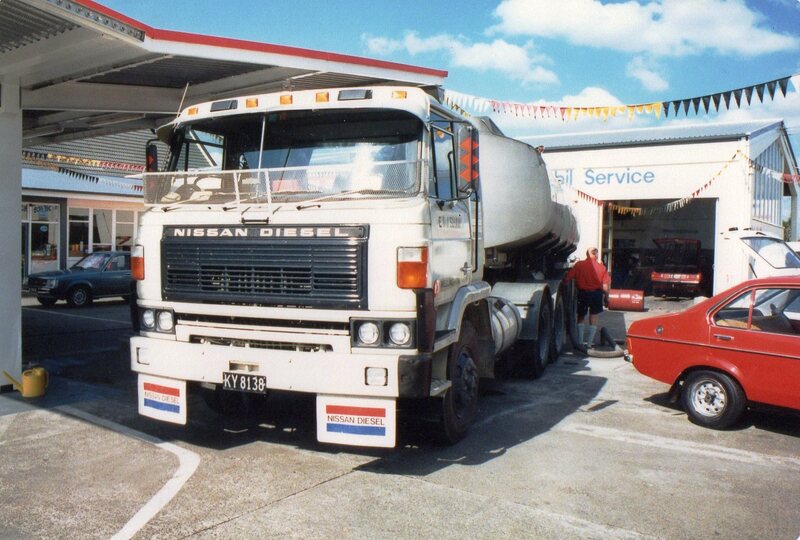 Nissan in Mobil colours topping up the underground tanks at Vic's Garage in Masterton. 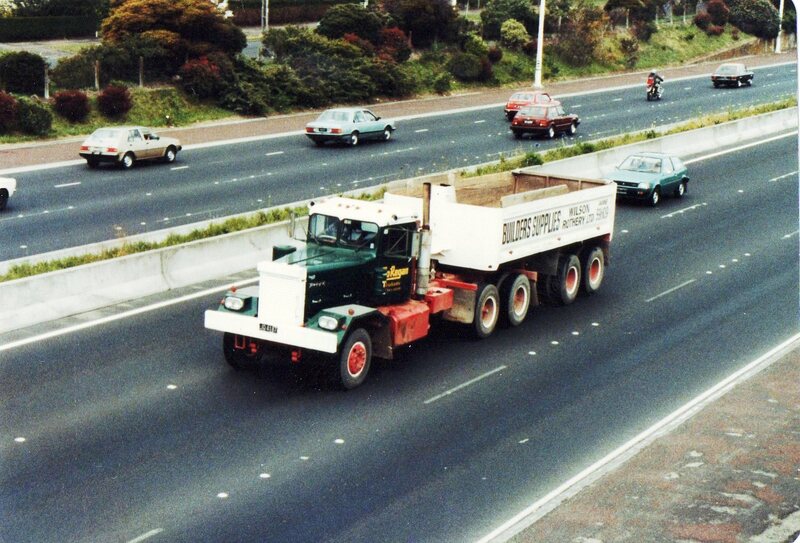 An early Pacific, probably an ex-logger, still working hard on the Auckland southern motorway.